A short stroll up tram-lined Kr.Barona Street from the Old Town, iDille is a little store inside a little mall. It’s not new, but its products always are. 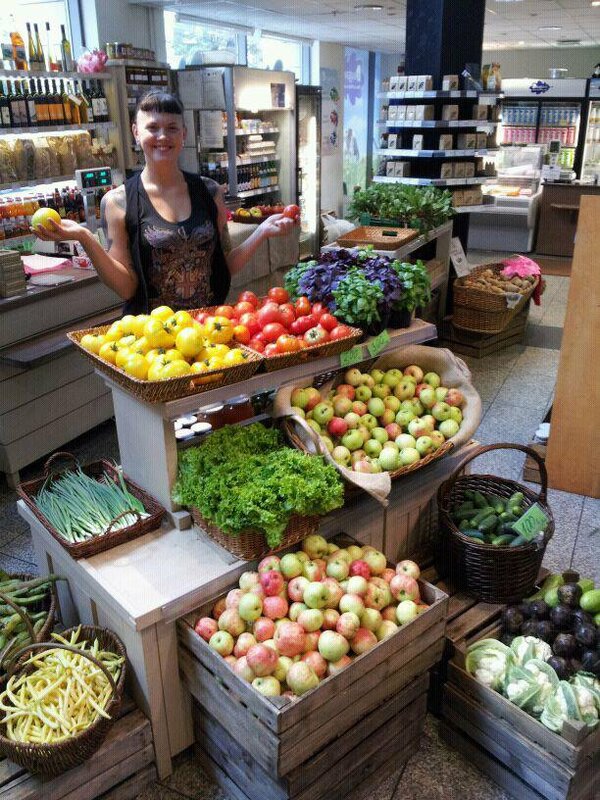 It sells locally grown fruit and vegetables as well as eco-food and eco-cosmetics. Buying fresh food at this bright, naturally lit minimarket will support small-scale Latvian farmers. Unblemished, organically reared Latvian cucumbers, spring onions, tomatoes, lettuce, peppers, cabbages, cauliflowers, runner beans, zucchini, carrots, potatoes, onions, and a ton of other stuff are packed into baskets and crates. The senses are tickled by all the smells and colors. As local producers struggle to compete with the avalanche of fertilizer-doused fruit and veg grown in massive greenhouses for industrial-scale companies in the Netherlands and Spain, it’s always a pleasure to stop by iDille to get a fresh perspective on food. Now, you only need to visit the supermarket to buy toilet paper.